Invidia R400 tuned muffler exhaust systems offer a rich exhaust note which enhances the natural tone of your car's engine. 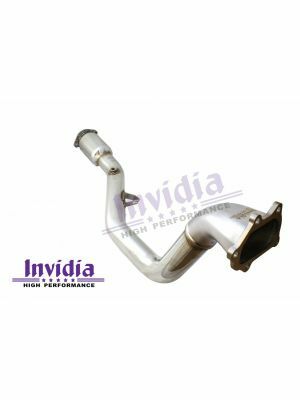 Invidia's high flow design ensures efficient exhaust flow for optimum engine performance. Specifically designed to fill the sound gap between the Q300 and N1 system. The R400 produces a unique, agressive note without any harsh cabin noise (particularly at highway speeds). BUY WITH CONFIDENCE - Invidia Exhausts LIFETIME WARRANTY applies to this produc - Conditions Apply. 76mm diameter, 1.5mm thick mandrel bent SS304 Stainless Steel piping - greatly reduces the risk of cracks and breaks developing, reduces rasp and vibration.